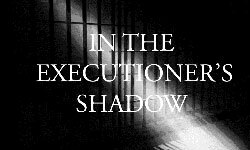 THE DEATH PENALTY IN 2013: YEAR END REPORT by The Death Penalty Information Center (DPIC) - With 39 executions in 2013, this year marks only the second time in nearly two decades that the United States executed less than 40 people. On October 16, 2013, fifteen leaders of Oregon’s religious communities gathered at First United Methodist Church in Portland to voice their opposition to Oregon's death penalty and present their reasons for advocating its abolition. The convocation and dinner was sponsored by Oregonians for Alternatives to the Death Penalty (OADP) and Ecumenical Ministries of Oregon (EMO). A majority of Americans -- 60 percent -- still favor putting convicted murderers to death. In the past 20 years, the level of support has dropped gradually, from a high of 80 percent in 1994, and 69 percent as recently as 2007. Edwin J Peterson, former Oregon Chief Justice, states "In 1978 and 1984, along with most Oregon voters, I voted for and supported the death penalty initiative that reinstated the death penalty in Oregon. Today I don’t. Oregon’s death penalty system is dysfunctional, expensive, unworkable and unfair. Even supporters of the death penalty - I was one – should vote to end the Dickensian system we have in Oregon." Now that the Oregon Supreme Court upheld his reprieve of Gary Haugen’s death sentence, Gov. John Kitzhaber and others say they can proceed with a broader but politically difficult effort to abolish Oregon’s death penalty. Death row inmate Gary Haugen cannot legally force Gov. John Kitzhaber to carry out his execution, the Oregon Supreme Court decided Thursday. Gov. John Hickenlooper signed an Executive Order today that grants Nathan J. Dunlap, also known as Offender No. 89148, a temporary reprieve from his death sentence. It is time to let Gary Haugen die. His death-penalty case has turned into a political circus that neither serves justice nor compels Oregonians to confront the barbarianism of capital punishment. The Oregon Supreme Court heard arguments Thursday in the bizarre, long-running case in which Haugen wants his execution to proceed but Gov. John Kitzhaber has stopped it. West of Memphis: An examination of a failure of justice: Coming to Oregon Theaters in March. Discounts available. West of Memphis is an examination of a failure of justice. This documentary film tells the hitherto unknown story behind an extraordinary and desperate fight to bring the truth to light. Told and made by those who lived it, the filmmakers' unprecedented access to the inner workings of the defense, allows the film to show the investigation, research and appeals process in a way that has never been seen before. Read more about West of Memphis: An examination of a failure of justice: Coming to Oregon Theaters in March. Discounts available.